What will the future bring for Asia's elephants? The best way for tourism to contribute to elephant conservation, and the most authentic way for tourists to experience elephants, is wild elephant tourism. The fee to enter protected areas can be used for habitat maintenance and improvement, the prevention of poaching and for research. Furthermore, local communities could be included as partners, benefiting from and helping to protect wild elephants in their natural habitats. Wild elephant tourism has provided huge economic benefits for many African countries but also in Nepal, India and Borneo. Thailand has many beautiful national parks, full of biodiversity and the potential for authentic wildlife observation. Compared to the elephant excursions currently on offer this would require a fundamental change of attitude and expectations from tourists. Patience, time and distance from the animals are required, and in the wild nothing is guaranteed. But the tradeoff is a true, authentic wildlife experience. 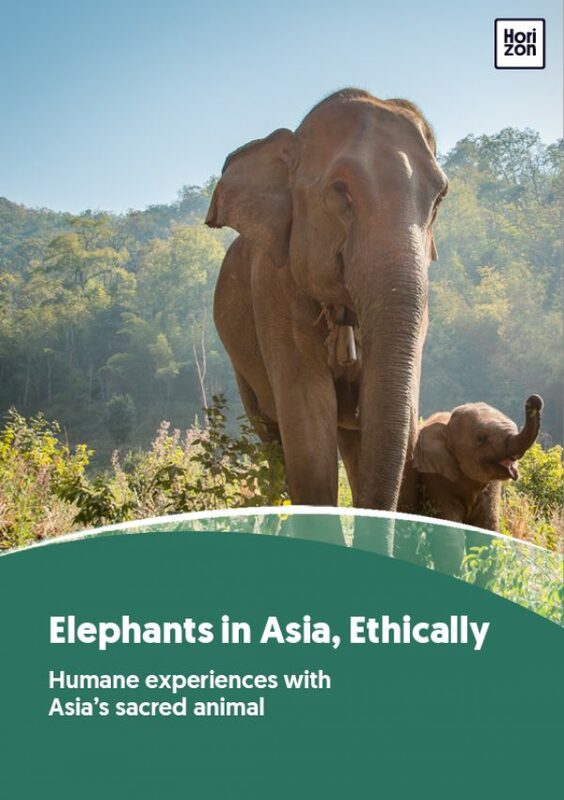 Imagine a Thailand where tourists leave with photos of free-roaming herds of wild elephants in a tropical forest, instead of images of tame animals carrying people, painting senseless pictures, and forced to ride on bicycles. In the long run, the demand for up-close encounters with elephants – and for elephants in captivity in general – should end. With a shift towards observing elephants in the (semi) wild, we can aim for elephant lives that are truly worth living, and for the conservation of the species. The central question is how much are we willing to change our own expectations as individuals and how much of a role we’re willing to play to help bring that about. Hidden in their natural habitat of jungle and forest, it is difficult to gauge the number of Asian elephants left in the wild, although official estimates range from just 25,000 to 50,000. Over the last 100 years the wild population has crashed by 90 per cent, earning a place on the International Union for the Conservation of Nature’s Red List of the most endangered species. The reason for their near-disappearance from the wild is simple: their forests are vanishing. Without its natural habitat, the Asian elephant is homeless and cannot survive in the wild. In an ideal world, all elephants would be wild and free to roam in their natural habitat. For thousands of elephants this is not possible, either because their habitat has disappeared or because they were born into captivity and don’t know how to survive in the wild. There are around 15,000 captive Asian elephants in the world today, for whom release into the wild may never be possible. Elephants eat up to 200kg of food per day and can live up to 70 years, so keeping them happy and healthy is an expensive business. It is possible for tourism to cover the cost of an elephant’s upkeep and welfare but it is essential that the animal is cared for properly, that it has adequate space, access to water, and companionship to suit its personality. Unfortunately, that is all too rare. For any elephant experience – even at a responsible rescue centre – it is worth remembering that any close encounter with a wild animal means asking it to change its natural behaviour. Only when we keep our distance from a wild animal are we truly respecting its freedom. So what does this mean for the future of elephant tourism? To truly put the big picture of conservation first, countries that are home to Asian elephants must be encouraged to protect as much of their habitat as possible. For a tourist, seeing an Asian elephant in the wild is one of the most thrilling experiences you can have. The future of these animals is in our hands. It’s up to us to vote with our wallets and demand more in-the-wild observation rather than hands-on entertainment.